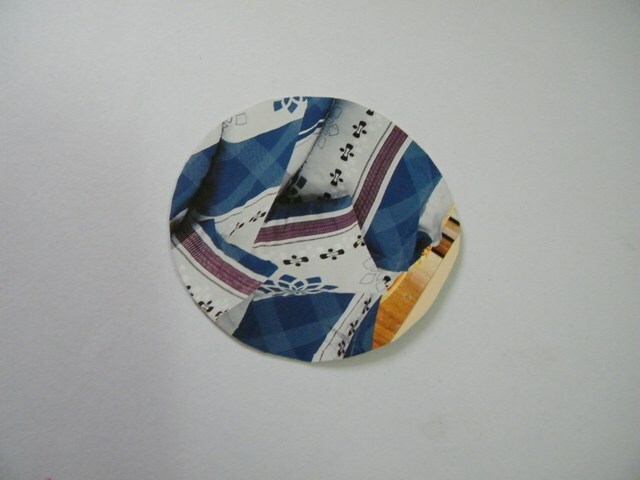 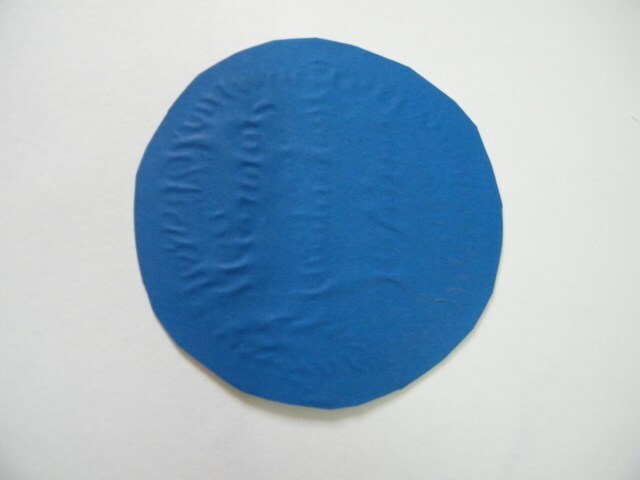 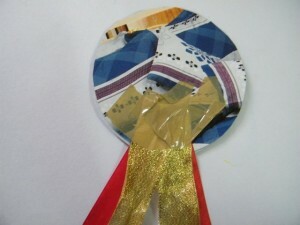 Cut out a circle on thick card paper as shown. Glue colored paper on it as shown. 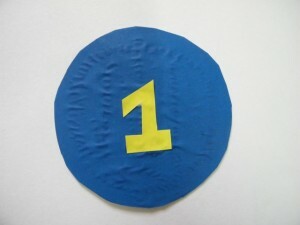 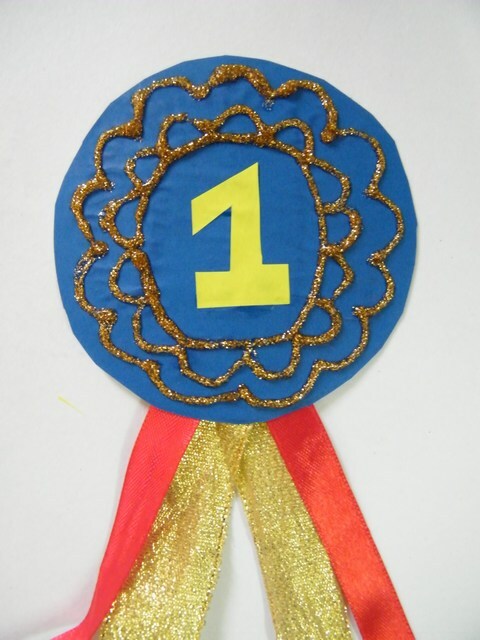 Cut out the number 1 and glue it in the center as shown. 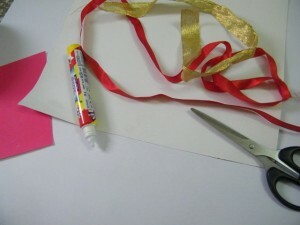 Tape them to the back of the card as shown. 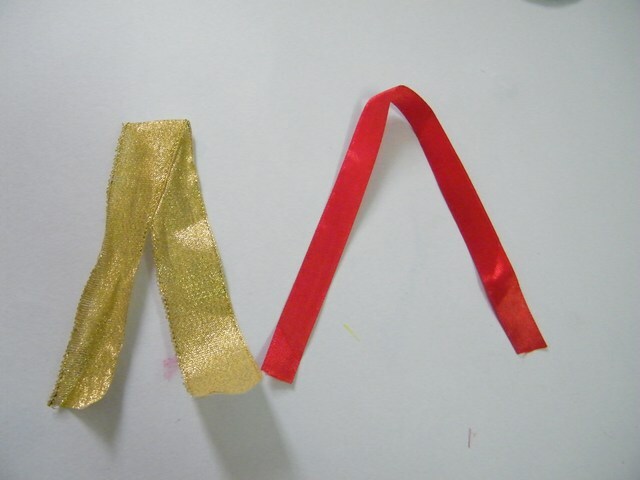 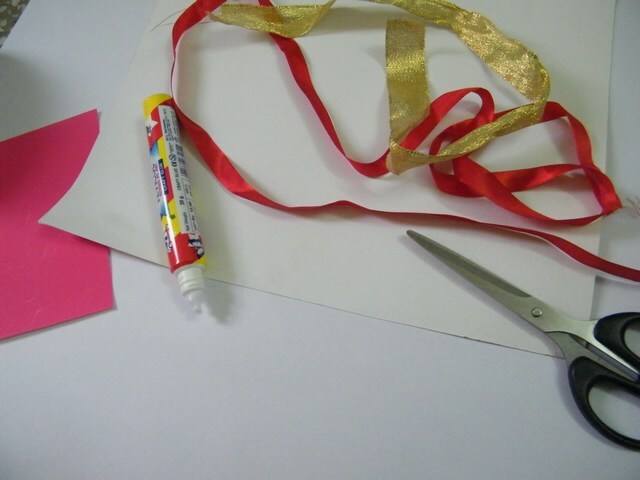 Decorate with glitter glue as shown.